Hartford's Adriana Sanchez marches for reproductive rights. "My body is my choice," says Sanchez. Terri Tibbatts of Washington Depot attended her third women's march. She is there in support of environmental and social justice. 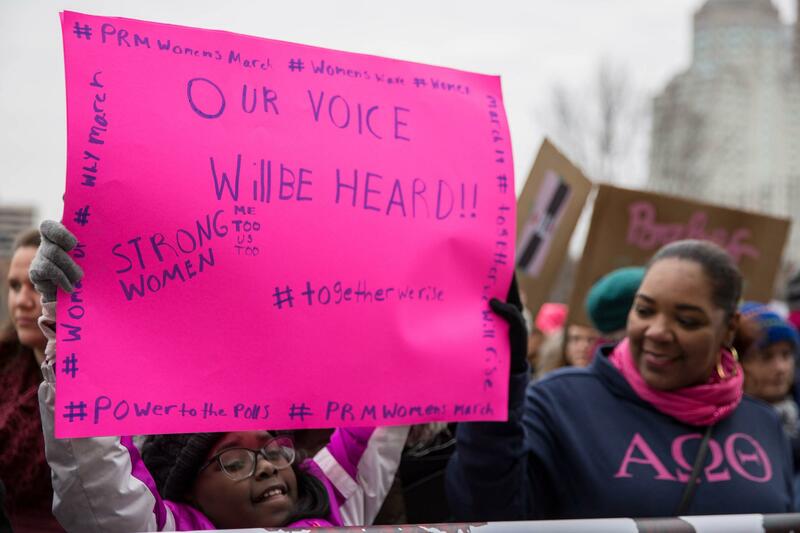 Unity – the power and strength of women who come together to effect change -- was the message at the 2019 Women’s March in Hartford. Organizers of the Hartford event made a point to promote diversity and call for union in a time where talk of division in the social movement for women’s rights has dominated the headlines. That's come particularly after allegations of anti-Semitism as of one of the national march’s founders failed to distance herself from Louis Farrakhan, a Nation of Islam leader who has insulted the Jewish community. Shake’s group did identify itself as separate from the national organization that started the March in a press release sent out before Saturday’s March. Nevertheless, as she spoke from the steps of the Capitol Saturday, Shake called for unity. “We have a lot more work to do and we need all of you to stick with it and move forward together, in unity, with the same purpose because we believe in the United States of America that all people are welcome -- that all people deserve to be loved,” said Shake. 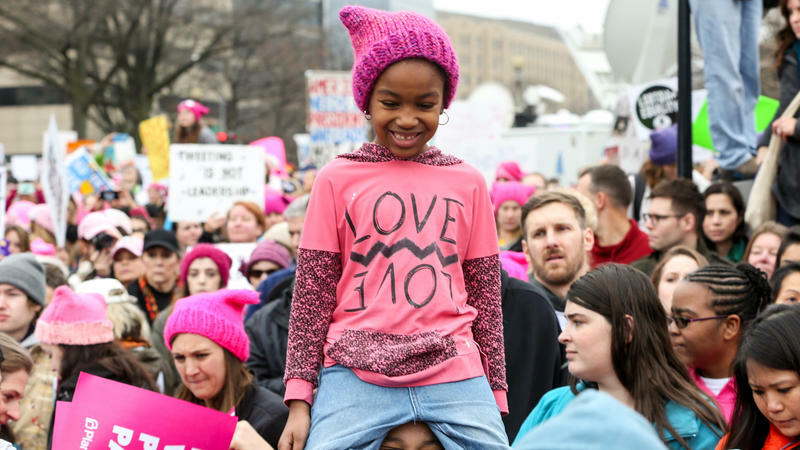 Ava Williams, 10, of Middletown, Connecticut came to the march with her mother Alisha Minto (right). Williams and her mother were at the 2019 Women's March in Hartford to promote resiliency in strong women. Inclusion has been another point of debate for the Women's March. Althea Webber Bates is the founder of a social movement that she says promotes the resiliency of women, primarily of color. The 2019 Women’s March in Hartford began on the south lawn of the State Capitol building. It continued until the crowd made it to the steps of the building. They listened to speakers discuss a variety of topics – from reproductive rights to the plight of undocumented immigrants crossing the southern border of the United States.